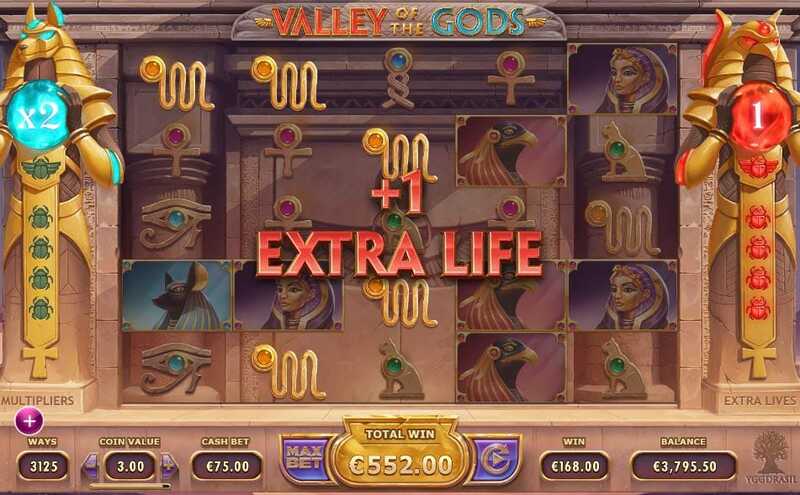 Ancient Egypt conjures up images of mystery and opulence, and none more so than in the Barbados online slot Valley of the Gods from bespoke game developers Yggdrasil. Walk in the Valley of the Kings with great gods Horus and Anubis who guide gamers to potential riches in this 5 reel slot with an astonishing 3,125 ways to win. Set against the backdrop of an Pharaoh’s tomb with sound effects that sum up the epic spirit of this ancient civilization, Valley of the Kings is an online slot experience that transports players to another era. Yggdrasil, the gaming company named after the immense tree that links the nine worlds in Norse mythology, has a presence in Malta, Poland, Gibraltar and Sweden. Since 2013, Yggdrasil has started small but grown a reputation among giants of the online casino gaming industry for creating innovative and engaging titles that delight players and casinos alike. The creative team are committed to delivering the highest quality gaming packages, efforts recognised in the awards and nominations the company has achieved in its short life. Popular titles include Gem Rocks, Orient Express, Rainbow Ryan and Vikings go Berzerk. Play top games from Yggdrasil and rack some prizes. And with bingo promotions UK, you won't leave the game empty-handed. Win Multipliers – Once all the blockers are destroyed, a player earns a x2 multiplier, and again has to collect scarabs that emerge onto the playing screen. The multiplier is increased by x1 for every 5 scarabs collected. A new win multiplier is added at the end of each respin, with the total win being added to the player’s balance once the feature is ended. Valley of the Gods can be played from BarbadosBingo.com. It is an epic slot experience that transports players to the heart of Ancient Egypt and the mysteries of the tombs of the pharaohs. Stunning graphics, entertaining bonus features and a cast of imposing but helpful characters make this an immersive experience that caters for both big betters and those with more modest stakes. 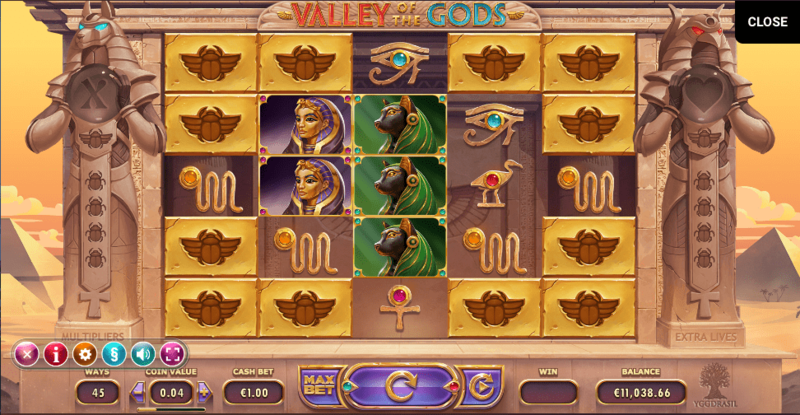 If you enjoyed Valley of the Gods why not try casino Fluffy Favourites slot game.